Soy wax candles have many advantages over traditional candles, including the facts that they burn cleaner (no black soot), they burn longer, and they are a natural product. No wonder soy candles are the fastest-growing segment of the candle industry. Good Earth offers a non-GMO soy wax product called Crème Brule Mason Jar Candle that is biodegradable and environmentally friendly. When burning this candle, please follow these instructions: Keep the wick trimmed to one-quarter inch; only burn four hours at a time; keep out of reach of children; and never leave unattended. 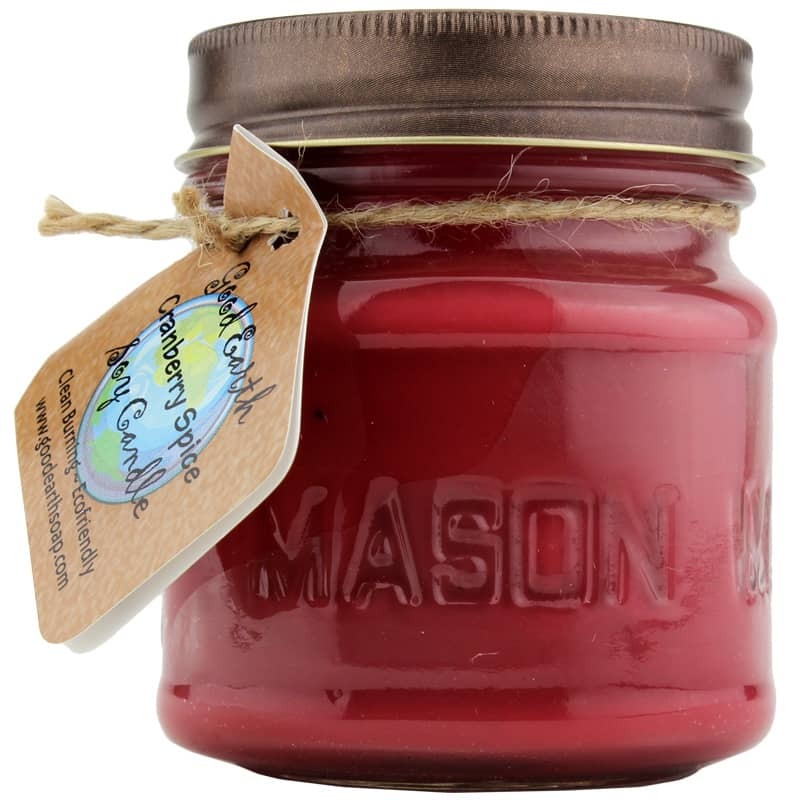 If you're looking for a non-GMO soy wax candle that is biodegradable and environmentally friendly, check into Good Earth's Crème Brule Mason Jar Candle. Order online today! I love these candles! Also bought several more for Christmas gifts and everyone who received one loved them, too. The Mason jar container is a great idea, and the lid helps keep the scent fresh. I bought several of these candles as Christmas gifts this year and everyone just loved them! The Mason jars add a nice touch, with the screw-on lid to cover the candle when not in use. Yummy flavors, too! Love the smells of autumn! If you love the smells of autumn like I do, you'll love this Pumpkin Spice Mason Jar Candle. I've purchased soy candles before claiming to be scented only to burn them & NO smell. This candle smells amazing!! I really like the clean scent of eucalyptus. Great scent and it lasts long without being overwhelming either. Couldn't ask for more! This smells just like the real thing! It totally brings back memories of my grandma's lily of the vally's surrounding her house. Scent is strong but not too strong. Just perfect! I've tried 4 candles from this brand and they've never disappointed me! Smells great, scent easily fills up the room but also not too overwhelming.